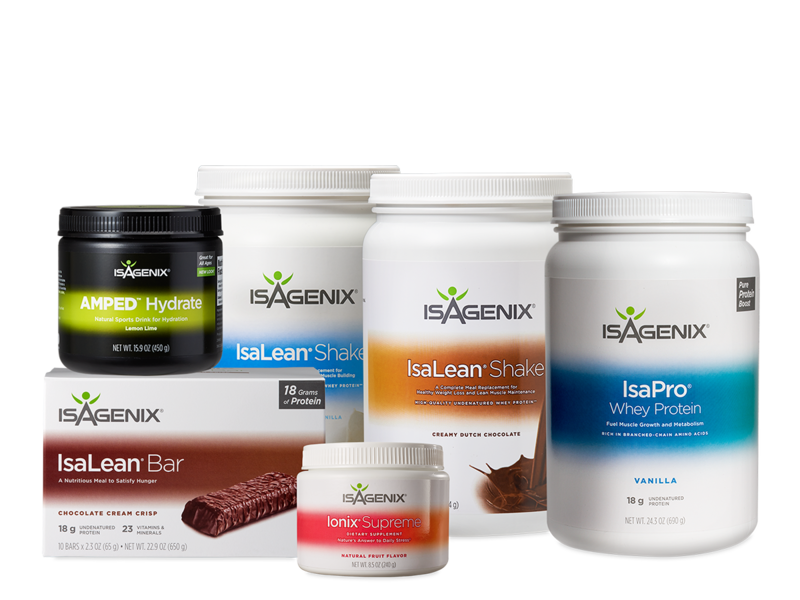 Bottom Line: Isagenix offers a wide range of products with an even wider range of success levels. Historically, people who already use a restricted-calorie diet are most likely to experience success with Isagenix products. You will lose weight, but it won’t be sustainable over the long term. 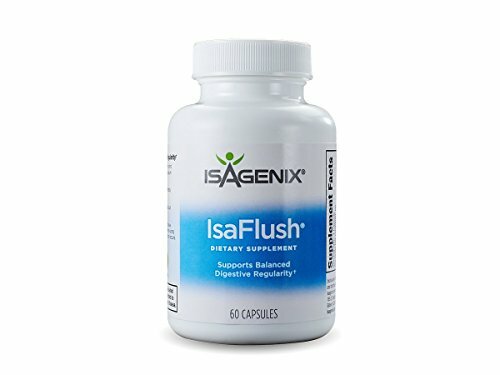 Price history for Isagenix IsaFlush - 60 capsules (60 servings) - Cleansing Herbs and Minerals to aid in Digestive Regularity. 2. History of the Brand: How Did Isagenix Start? 7. How Does Isagenix Work? 16. 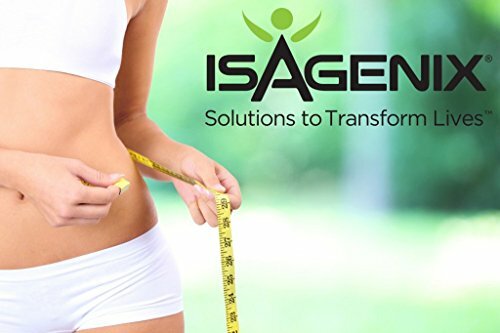 Would Isagenix Work with Your Diet? 17. 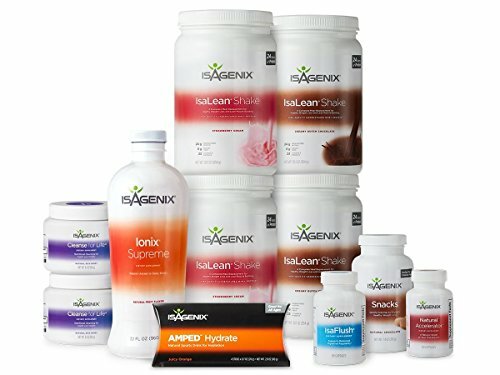 Verdict: Would I Recommend Isagenix? 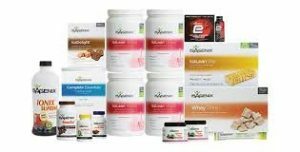 Bottom Line: Isagenix offers a wide range of products with an even wider range of success levels. Historically, people who already use a restricted-calorie diet are most likely to experience success with Isagenix products. You will lose weight, but it won't be sustainable over the long term. If you’re familiar with the MLM circuit, chances are you may know someone who sells Isagenix products. They have a full line of health products, but their most popular one is a meal replacement shake that promises not only to help you lose weight but to help you build lean muscle while you do it. I decided to give their products a try to see if they lived up to their claims. As part of my trial, I also took a close look at the company itself, the ingredients they use, the science behind the products, and more. Ultimately, I wrote this review to share my experience and help you decide if this is a product line you should invest in to help you reach your own weight loss goals. Some of you may find what I have to say a bit shocking. 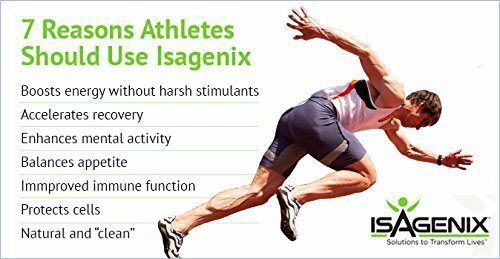 If you’d like to try it for yourself, Isagenix can be purchased through Amazon or using their Official Site. 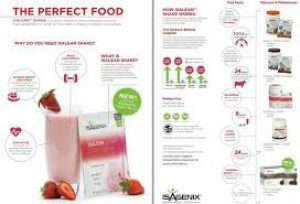 A Multi-Level Marketing (MLM) company, Isagenix offers weight management products, including meal replacement shakes, cleanses, and even essential oils. Theoretically, Isagenix products promote a healthy, active lifestyle; however, there is some question about their ability to deliver on their promise. Sure, there are some who are successful, but it seems those are the ones who are already doing their best to live a healthy lifestyle – eating a reduced calorie diet and getting plenty of exercise. My problem with these health MLMs is you’re trusting someone who doesn’t have any background in health and wellness, most of the time anyway, to sell you something. They make money whether you succeed or not, so they aren’t motivated to make sure you succeed. Isalean Shakes – whey and milk protein-based meal replacement shakes that have 24 grams of protein and 240 calories per serving. Ionix Supreme – a product full of sweeteners, vitamins, and adaptogens that claims to support focus and clarity, while also normalizing the body’s systems. Hydrate Sticks – a powdered drink mix made with vitamins, minerals, electrolytes, and sweeteners meant to be mixed with water. 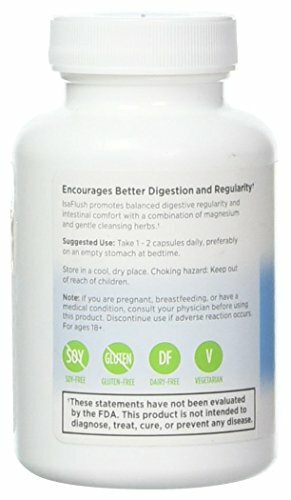 IsaFlush – a supplement featuring an herbal blend and magnesium that claims to support a healthy gut. Whey Protein (19.7%), Calcium Caseinate, Milk Powder, Fructose, Sunflower Oil, Natural Cocoa Powder, Vanilla Flavour, Lecithin, Olive Oil, Flax Seed, Guar Gum, Tri Calcium Phosphate, Xanthan Gum, Fibersol, Cellulose, Chocolate Flavour, Salt, Beta Carotene, Honey Powder, Magnesium Oxide, Irish Cream, Acidophilus, Alfalfa Juice Concentrate, Soy Lecithin, Lactase, Psyllium Seed, Silicon Dioxide, Cinnamon, Mixed Tocopherols, Kelp, Wild Yam. Concentrated herbal extracts equivalent to: Vaccinium myrtillus (Bilberry) fresh fruit 1g, Withania somnifera (Ashwagandha) dry root 362.5mg, Rubus idaeus (Red Raspberry) fresh fruit 1.3g, Foeniculum vulgare (fennel)dry seed 140mg, Arctium lappa (burdock) dry root 600mg, Rhodiola rosea (Rhodiola) fresh root 100mg, Eleutherococcus senticosus (Siberian Ginseng) dry root 90mg, Glycyrrhiza glabra (Liquorice) fresh root 90mg, Mentha piperita (peppermint) fresh leaf 80mg, Curcuma longa (Tumeric) dry root 87.5mg and Medicago sativa (Alfalfa) equiv. whole plant juice 250mg, Choline Bitartrate 5mg, Inositol 5mg, L-Methionine 5mg. According to company literature, more than 95% of the Isagenix products are manufactured in the United States – and all of them are made to comply with international standards for supplements. We don’t know where the remaining portion of their products is made. According to the company, it’s for everyone from children to seniors who want to live a healthy life. They offer products for all ages and medical concerns. Some products are even considered safe for use during pregnancy. The 30-day plan is made up of shake days and cleanse days. On shake days, you’re supposed to replace two meals a day with the Isalean shakes. The third meal should be a healthy meal of 400 to 600 calories. During the shake days, you also take supplements and can use the Isagenix snacks twice a day. 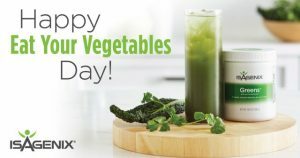 On cleanse days – once or twice a week – you skip meals and drink four servings of the Cleanse for Life drink, eat small amounts of fruit and consume the Isagenix approved snacks. At the end of the 30 days, you are supposed to either start again or try another Isagenix system. Yes, but this is because of the calorie restriction and intermittent fasting, which can be done with or without the Isagenix products. In all honesty, Isagenix is nothing special. There are tons of fillers and unnatural ingredients in their products that can wreak havoc on the endocrine system (soy and high fructose corn syrup, for instance) and can disrupt any chance at weight loss. Many reviews come from distributors, who are biased since they benefit from selling the products. Even if there is truth in the reviews, it is hard to believe it. Some of the products taste okay, but most people aren’t that impressed by what they’ve tried and often add to the shakes with berries or other flavors (increasing sugar and calories). Many reviews talking about “weak” flavors or a chalky aftertaste. Consuming too much protein can come with negative side effects since the body can only absorb a certain amount of protein every hour. Too much protein can lead to diarrhea and other gastrointestinal issues. You may also end up with nausea or an upset stomach if you are lactose intolerant. Isagenix products are not FDA approved. As such, you should speak to a doctor before using any of the products, to make sure you are healthy enough to use them. If you are dealing with certain medical conditions or using prescription medication, Isagenix may not be the best solution for you. Yes. In 2012, Isagenix was part of a lawsuit alleging they intentionally destroyed a competitive business, though no information could be found about the outcome of that case. In another case that year, where we also couldn’t find the verdict, Isagenix was sued for not having the Proposition 65 warning on their products – required in California for products that contain chemicals that are known to be toxic. “The newly improved Isagenix is a huge waste of a lot of money. The texture is slimy, thick and tough to swallow. The taste is not pleasant and you best be near a bathroom because the term ‘cleans you out’ is an understatement.” – Julie L.
Dairy-free – unless you opt for the dairy-free options that are available. As much as I’d like to be able to recommend Isagenix, I can’t this time around. There are simply too many unhealthy ingredients present in their formulas for me to feel good about it. At least 1/3 of your daily recommended intake of vitamins and minerals. If you’d still like to try their products, there are several promotional codes, like this one for $50 off your order, out there so you can try for yourself. My advice? Just be realistic about your expectations and get as much information as you can before taking a supplement or food product. 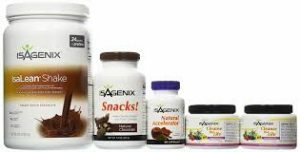 Isagenix can be purchased through Amazon or using their Official Site.